Much deserved. Fairness isn't a concept which can necessarily be found in abundance in music. Success isn't always, or even usually, something which is based on things like hard work or . . . an actual and perceivable talent. While those things certainly may help in some cases, surely you can think of artists low on both who have made a name for themselves in some way and even exist as stars in others. Unfortunately, although it is a genre which very much plays by its own (non-existent) rules, Reggae isn't immune to this situation and we literally have dozens and dozens of talented artists who will never receive the credit and/or attention that their actual musical capabilities would mandate - not even from Reggae fans. Now of course I mean that in the most general and broadest possible sense. I am going to give them that credit and attention and, when they do big things. You're unlikely to find anyone singing their praises louder than me (biggup Mark Wonder). 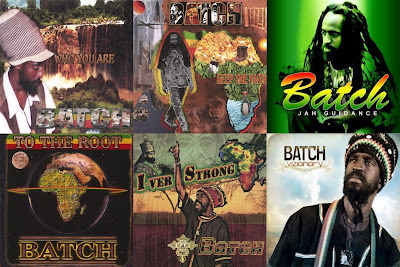 Normally this is the point where I start reaching for a lot of examples, but the individual with whom we are dealing today is the PERFECT model of illustration in this instance as Ras Batch has already done so much in the music and continues to work his magic within the class of the absolute best of the modern era of Reggae music. As I've said in the past, the St. Croix Reggae wizard has, rather quietly, become a favourite of mine and I look at him largely now as having a style which, although ostensibly is very straight forward, is probably ahead of its time. I'm thinking that maybe twenty or thirty years on from now, you'll have fans, younger and older alike, suddenly coming to the realization that this singer who emerged in the early 2000's from out of the Virgin Islands and went by the name Batch, made some complete musical GEMS in his time. Apart from that, and more prominently, if you follow Midnite, people like Ahfyah, Ambush and particularly Mada Nile (who has a new album out of her own, "Dream Big") and potential superstar, Ras Attitude, you've probably heard some of Ras Batch's production work and musicianship, primarily through his own Sound V.I.Zion imprint. In those final two cases Batch has not only produced them, but he's also released their work on his label and played a major role in developing their talents as well. In the end, he may just be one of the most influential lights in all of Virgin Islands Reggae music. And while he was in the process of doing all of that, he was also developing himself. It's been a rather long four years from last Batch did an album. 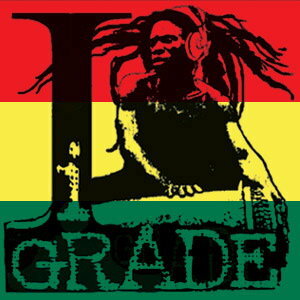 2008's very well received "Vizionary" was the sixth release of a catalog which also includes, perhaps most notably, the MASSIVE "Jah Guidance", which on this very blog I proclaimed to be a Modern Classic. Three of the singer's previous albums came via his own label, while he completely produced one of the others (the just mentioned "Jah Guidance", which was on Carrion Brookes Productions, which is now Carrion Entertainment, which released "Tinkin Out Loud" ["it's an expression of my soooooooul"] last year, the debut album of the aforementioned Ambush, who is the brother of the aforementioned Mada Nile) (small world) - so with all he's done, if anyone has EARNED something of a step up and something which is sure to be promoted well and pushed to almost everyone who could possibly be interested in it, it's definitely Ras Batch. I Grade Records? That would be perfect. 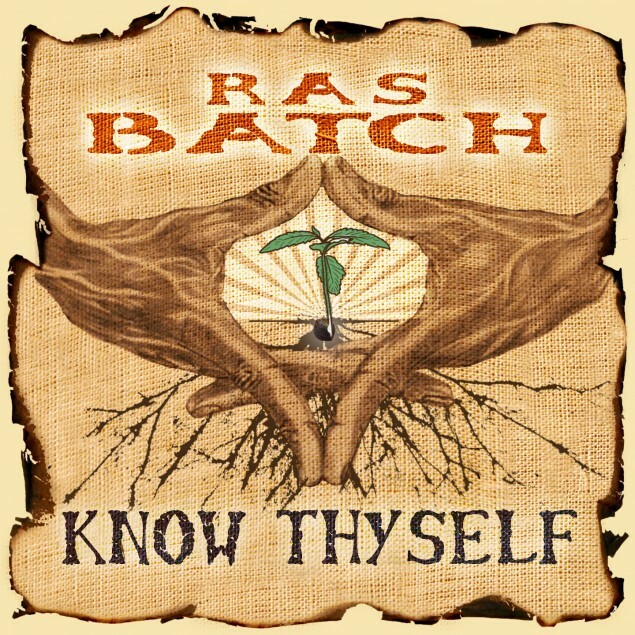 The leading label of Reggae music coming from out of the Virgin Islands now presents the seventh studio album of the great Ras Batch, "Know Thyself". The flaming label (who we'll speak on a bit later in more detail) doesn't SHOCK in its latest move, given exactly what they've been up to recently, but they just made a heavy fan (that they already had) out of me because from ever since I saw this album was forthcoming, I could not wait to hear it. Before we even got there, however, once again I Grade Records has assembled a very impressive musical 'cast' to work alongside the star as people such as, of course, The Zion I Kings, Andrew 'Bassie' Campbell, Earl 'Chinna' Smith, the great Dean Fraser, of course Laurent 'Tippy I' Alfred, the incomparable Tuff Lion, Batch himself, DEAN POND and many extremely talented others all come together to add the vibes to "Know Thyself". For his part, again, Batch it has been a very healthy four years from his last album, so one would assume that Batch has a whole heap of things to get off of his mind. One very interesting aspect of his music and his writing, and one of the main reasons that I enjoy it so much, is that Batch can very much be a CHALLENGE to listen to - and I mean that in a good way. Although I wouldn't place him in a Vaughn Benjaminesque type of category, where you hear words such as 'cryptic' thrown about, Batch seems to be someone who places a certain amount of responsibility (and RESPECT) in his listeners to bring something to the table. You will find some, but typically his music doesn't come with very much of an ostensible FLASH to it. Instead he delivers more 'musical lectures' and if you haven't a really strong interest in his subjectry and some type of awareness, you may not be able to appreciate it as much as if you did have those things (thus, my claim for him being ahead of his time and probably why it took me so long to realize that I had invested in a musical GOLDMINE the day that I purchased the "Jah Guidance" album). And have I mentioned how DAMN happy I am to have a new album from Batch? He did have a couple of selections on the musical divinity that was the "Joyful Noise" compilation (if you haven't heard that album, you are probably a very, very nasty person) and he also featured on a recent single for West Coast Studios alongside Ras Attitude, 'Vampire Slayer', but he hasn't been very active as a vocalist from the last album, so the prospects of SEVENTEEN new songs from the artist is a very big thing for me and the album not only does not disappoint, but it impresses throughout. Let's go! Much like as was the case in the former Perfect becoming Perfect Giddimani, the former Batch (as he was called on every album up until now) is now, officially apparently, Ras Batch. The new name has, over the years, become a . . . new name for Batch so it comes as no surprise and I think it’s a very good move - as was Perfect's. 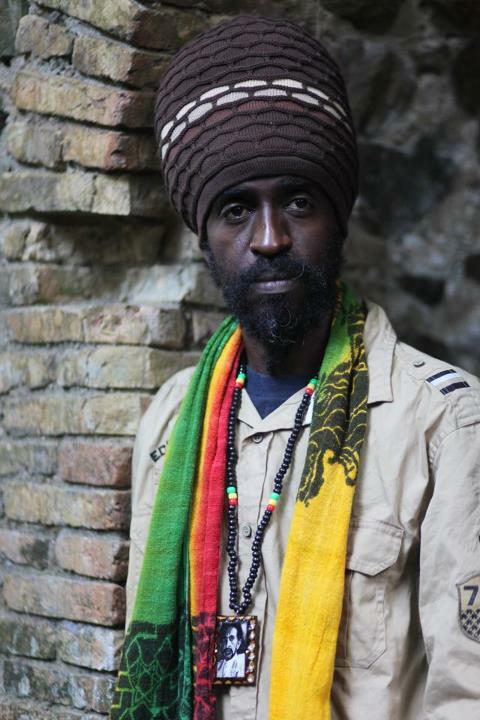 Call him Ras Batch or call him Batch (call him 'that guy who sang 'Hail The King'), whichever you prefer, HE has a brand new album, "Know Thyself" from I Grade Records, and it gets started with one its real highlights, 'Jah Children'. TEARS! This song, when I first heard it, I smiled a smile wider than my face and I haven't stopped as of this writing. It's just a big tune going to instill some heavy pride in oneself and one's life and way of life. And, although I don't think many will share this opinion, I think it's somewhat dynamic as well - it's an entertaining song and one which should well be on its way to being a favourite of many people, including me. Ushered in next is 'Give Thanks For Life' which finds Batch resurrecting the same riddim which Toussaint The Liberator annihilated on 'Crown I Got' from Zion High Productions' "Jah Golden Throne" compilation earlier this year and coming close to the majestic class that was set by the tune. This song is relatively self-explanatory as far as its direction, but it is another vibrant piece and one anchor of a praising tune. From the tomb to the cradle of birth!" BOOM! Arguably even stronger than both of its predecessors on the album is the third track, 'Stay Fit', which brings in just a slight BITE on the vibes. The tune appears an excellently old school vibed track from Bassie Campbell (big tune on that same riddim from Zebi-Lion ["I bring you messages!"] called 'Babylonian Inna Problem'). The phrase is "stay fit", but Ras Batch doesn't mean "fit" in the standard manner - he means to stay aware, to mentally prepared and to stay ready for what it is come. The result is one of the record's finest and if you want to call it THE finest, you won't get much of an argument from me at all. Why charge I wid possession? What mek you no check di murderer pon di street carrying di big weapon? A weh you deh pon? Haile Selassie First, I hail HIM in di open"
Seventeen songs on one album, usually, is too much. It's kind of hard to make that many songs on one album and continue along with any type of consistency. Unsurprisingly, however, Batch, who has been as consistent as the sun throughout his career, has no problem and "Know Thyself" is packed with not only 'good', but LARGE moments from beginning to end. Certainly one which will catch a great deal of attention is one of two combinations you'll find here, 'Trees', which features Batch alongside the supremely gifted NiyoRah. This piece, as its title would suggest, registers in one of Batch's favourite subjects. Having gathered classics (at least to me) through the years such as 'Green Gold' and 'Centripetal Smoke', the artist has well shown himself to be skilled in the ART of making herb tunes and here, he does it excellently again, joined by NiyoRah who he also teamed with, as Danny I, on 'We Want Reparations' one of the two big tunes from the aforementioned "Joyful Noise" set. 'Trees' isn't the only venture in that direction on "Know Thyself" - later on check 'Sacramental Herb', which may just be an even better song. The riddim on this tune (produced by Batch) is a subtle piece of genius and it serves a fine backdrop to another future classic in my opinion ["when the THC get up inna the pineal gland, nuff youth inna di ghetto start write and start to sing song"]. Already in circulation is the track 'Together', which I'm pretty sure is the first single from the album. Exactly why it was chosen isn't a mystery, it's a very catching tune (maybe one of the most so that Batch has ever done) and it probably has the single best chorus present. Naturally the message is also very crucial and whatever hype this song has gotten and goes on to receive will be absolutely nothing but warranted. 'Know Thyself', the song, is as gorgeous as the album named after it and it well illustrates what I alluded to earlier as far as this artist being a challenging one. This a song very much espousing the listener to know your histories and heritages and if you haven't looked in that path previously, perhaps this song could serve as some type of an impetus in getting you started. And you're also likely to take a quick interest in 'Most High' (which actually follows the title track) because it is the second composition with a guest on board. Ima, who is actually Batch's Empress, joins on the tune and they link for one of the album's most HALTING moments. Oh what a wicked shame"
Most High, You are my foundation, without you what can we do? Jah guide I & I"
This is at least the second time the two have linked musically as Ima (and the final stanza above is completely hers) also guested on a tune from the "To The Root" album from 2007, 'Cry Out'. She has a perfectly crystal clear voice and definitely I'd love to hear more from her in the future. The balance of "Know Thyself" features tunes which may not leap out at the listener, on paper, but are amongst some of the best material of Batch's entire career and also include the best tunes on the album, at least in my opinion. A tune I'm sure that the artist, himself, does hold in a great esteem and is a favourite of His is the album’s Mama song, 'Mama Daisy'. This is a very good song for Batch's Mother who, it appears, has made her transition and her son is now giving her one SWEET tribute on the piece ["I will always love, cause there will never be another"]. 'Dem Against Jah Rules' and 'Dem Wrong' are both strong and are somewhat related in as far as their focuses, respectively. Both take looks at Ras Batch's visions of the ills of society and place them together in a very impressive fashion. To my opinion, although the former is very good, 'Dem Wrong' is a SPECIAL tune and one of the best you'll find here. The same can also be said for the antiviolence set, 'Guns on The Street', which captures the same riddim NiyoRah took for 'Capture The Moment' from his outstanding I Grade album of 2010, "Feel Your Presence" and is another stellar light on the album. If you call those big tunes, you'll have to think of an even more sizable adjective to describe the remaining five songs on "Know Thyself" because they are golden! Check the heavy 'Roots Tradition'. Again, you're going to want to make sure your mind is in a proper place to really take in that tune and receive something from it. Should you do that, then you hear a magical piece of music there - and it gets even better here. 'LIVE PRAY' goes the route of an eleven foot, six-hundred pound tiger as it utilizes the same track found on the massive 'Black Mamba' (the single finest song I heard in all of 2011) from the "King's Bell" release and makes it its own. I don't know if it's actually possible to do a bad tune on that riddim, but it also isn't going to make you great if you aren't and 'Live Pray' is a stunning effort speaking on a full and wide-ranging motion of upliftment and liberation of the poor and oppressed population of the world. It's also somewhat galvanizing, despite not having that kind of an edge you'd expect when such a word is used, but this definitely makes you want to take notice, if you haven't, and become more active. And still, there's better! DIDN'T RECOGNIZE JAH IS THE SPARK! So mek di judgment begin, because A JAH LOVE MAKE THE EARTH SPIN!" 'Love Always' is . . . Perfect. It's a perfect song. This is one of three which just really hit me, personally, on a side where you get that feeling that you're hearing something GREAT. It happens a few times on this album, but three in particular. The other two? Much later on we get a slice of divinity by the name of 'Never Forget' which, essentially, covers the Afrikan Diaspora, one of my favourite topics and, obviously, it is one of Ras Batch's as well (there's a great similarly engineered song from the "To The Root" album, named 'Carry Beyond', definitely get to that if you haven't) and this one is especially stirring to my opinion and EASILY one the best here and on ever from the artist. Still, the crowning jewel of "Know Thyself", to my opinion, is its MAMMOTH closer, 'Repatriation'. BOOM! The song comes through with a heavy drumming behind it as Ras Batch casts a vibe stretching around the world to wrap up this wonderful album. Biggup I Grade Records (I told you we'd come back to them), who have to be experiencing something of their proverbial 'golden era' right now. Over the past two or three years they've made so many nice projects and they've done it in a most appetizing and appealing manner for Reggae fans. When you release albums from the likes of Midnite, The Nazarenes, NiyoRah, Danny I and now Ras Batch, you aren't thinking of 'crossover' or anything like such. And on the single deviation in immediate memory, Toussaint's sublime "Black Gold", even there it was a matter of bringing a soul singer in the fold of Reggae music and ultimately presenting him to primarily Reggae fans. WELL DONE! Overall, this album is fantastic. It is my thought to give a conditional recommendation, because I don't know how fans brand new to the music would take this album in, but in recollection, "Know Thyself" has to be considered one of (if not THE) most accessible releases of Batch's entire - there is a lot of dynamicity and attention grabbing moments here to my ears. And although it may not sound like it to newer fans, I don't think that the gap is so great that it would fail to be appreciable by them. On top of that, of course and as I said, is the notion that Ras Batch's music seems to get better with time, and I suspect that this album will as well, but it's looking excellent in the present, so if you're a more seasoned and consistent fan of the genre (which you obviously must be to read a review this long) (now checking in it at 3,613 words), you will LOVE this album. IMMEDIATELY! And a couple of years from now, you'll probably be love it even more. "Know Thyself" is a long overdue, yet expectedly brilliant, showcase of an artist in Ras Batch who has just as long paid his dues in doing so much for others and although he may be well ahead of his time, he isn't doing too bad in this era. AMAZING! GO GET IT! this is an amazing album. sounds like a superstar to me. "ok top qualty music from Batch as always, but nothing really special that we didn't hear before"
After that, I was really pleased, NO, not just pleased, AMAZED! Interestingly it is an album, wich constantly grows from its start and reaches its highest point exactly in the closing track "Repatriation"
So I think "Repatriation" will be 3rd for me on that list. And the album itself? Well I only can say that "Know Thyself" is 5/5 for me also!